Maybe Premier League sides should hurry up in the chase for the Porto right-back Ricardo Pereira. With the summer window approaching, clubs are starting to make the first moves to get their targets, and the hunt for the 24-year-old seems to be on. We’ve already covered a story from Spain which claimed Valencia are interested in the player. Newspaper O Jogo claims that club owner Peter Lim were set to watch the player in Porto this weekend. Lim’s trip to Portugal has been widely reported in the past few days, and there are several players he could be watching. Now these news should sound like a siren for the Premier League clubs who have been linked to the right-back, especially Tottenham Hotspur and Leicester City. Tottenham links are recalled in O Jogo’s article. Even though the newspaper doesn’t state the interest, they mention that the Spurs have been reportedly chasing the player. 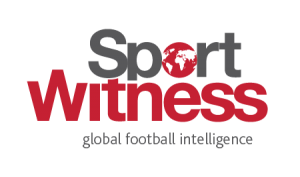 Leicester don’t get a mention this time, but their interest has been confirmed by several sources, including Sport Witness. Even though the Valencian media has been saying that Pereira should cost between €15m and €20m, this competition makes it sound like he should be a lot more expensive, especially for having Premier League sides involved. The player is officialy protected by a €25m release clause, but some outlets, including the very own O Jogo, claims that it has been raised to €37.5m this season. That makes the auction a lot more interesting.